Can you believe we are in the home stretch of this month’s Clean Up Your Act challenge?! I am sorry I missed last week’s post, but my grandmother died and while traveling back to the midwest for the funeral I caught the flu. Needless to say, my garage clean up came to a screeching halt. I still hope to complete the clean up by the deadline for this challenge.. JANUARY 30th! If you are working on your space, or if you still want to join, there is time! You have a little less than a week to clean up your space. Your choice of "Girls with Power Tools" or "Snarky Crafter" t-shirt from my line(s) on Amazon. And (2) $50 Gift Cards to spend on whatever your heart desires! This week I need fo focus on polishing everything off so I can get my car back into my garage. Right now I’m struggling with how to store all the bikes. We have so many and so little wall space. That is the last big obstacle of this clean up. 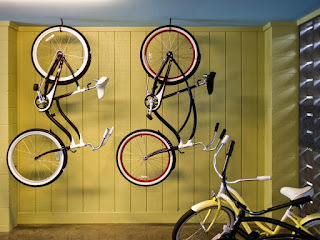 Currently we have a few of the bikes hanging off large hooks in the ceiling joists, but that is not ideal since the kids can’t take them down or put them up. 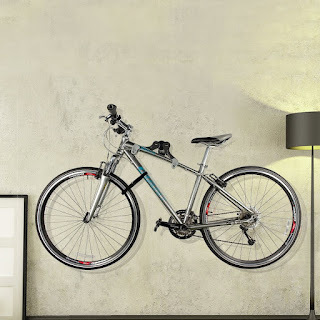 I’ve seen some horizontal hanging options which puts bikes on the vertical wall surface, but since we have no empty walls in the garage, that isn’t going to be ideal either. 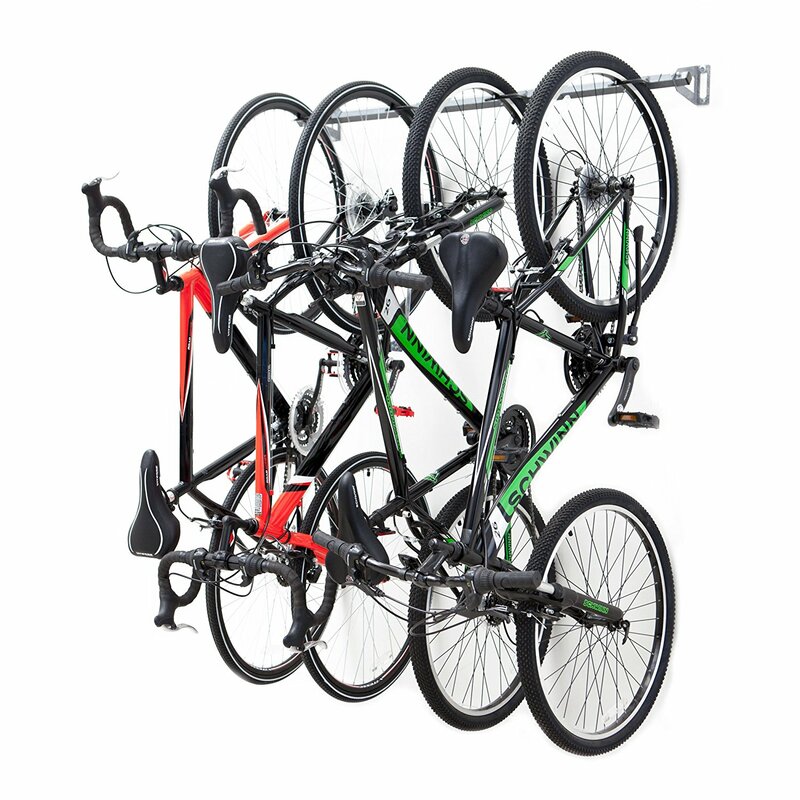 And many bike racks that are on the wall are equally difficult to use since you have to lift so much weight to mount the bikes. Not to mention they aren’t cheap. 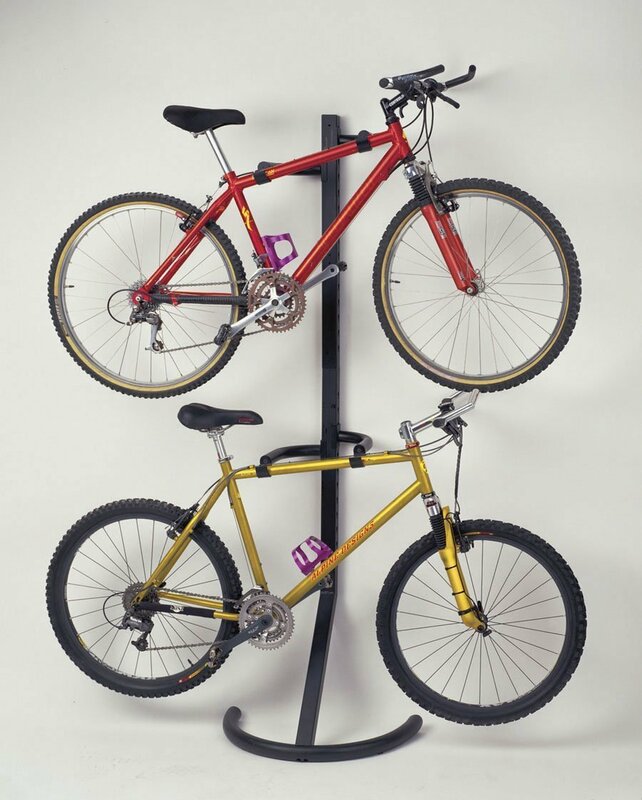 This bike stand is almost $100. 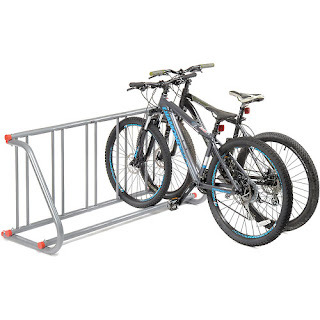 Another option is a traditional floor bike rack. Either one I build or a commercial one. 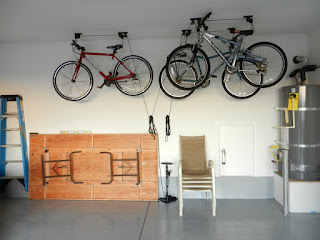 The problem with this is that, while great short term while the kids are actually riding and using their bikes,, long term it doesn’t free up any floor space in the garage. If anything, it takes up more. 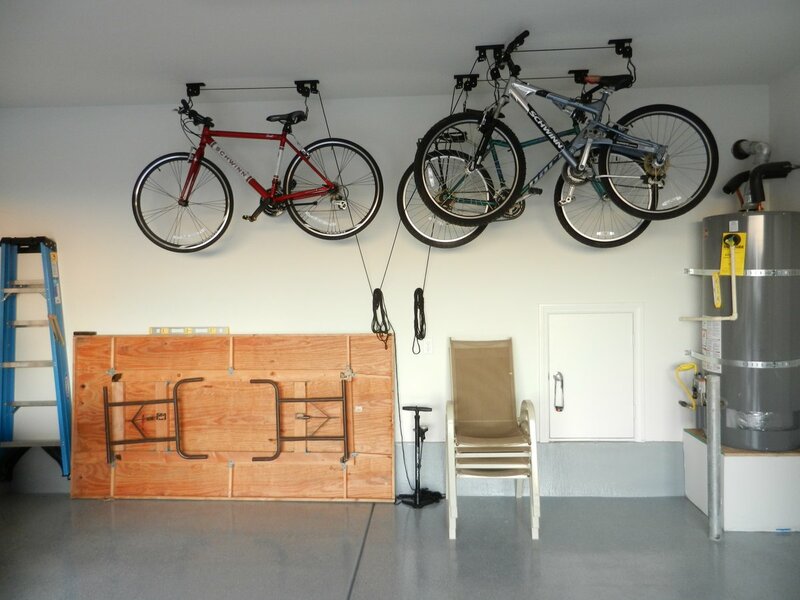 Floor space I need in order to pull my car in the garage. 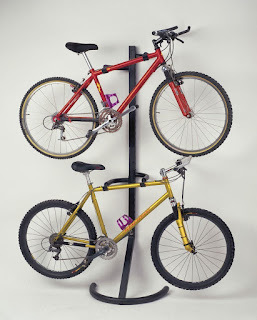 I think I’ve settled on a bike hoist system.. which allows us to store the bikes at the ceiling level, but also makes it easier to lower and lift them. And for only $25 they are a bargain! 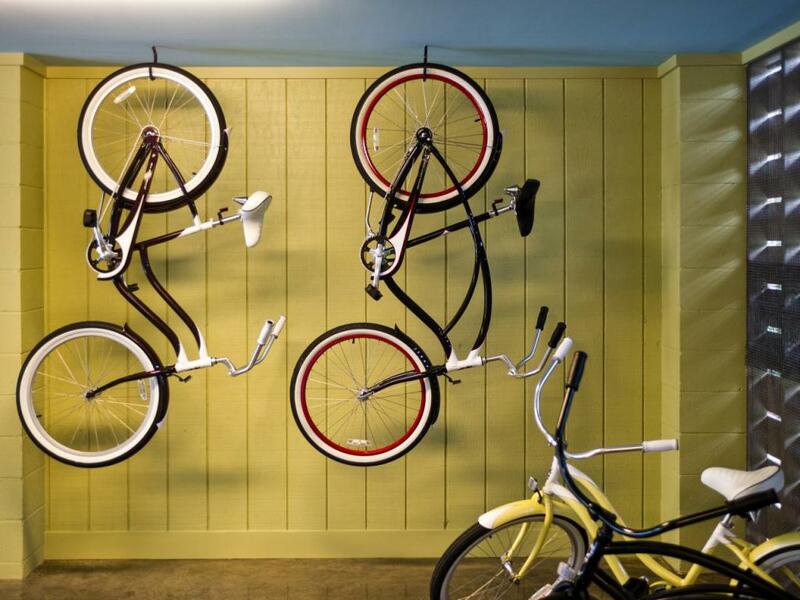 My parents use these in their garage and when we visit the kids can easily get the bikes up and down. Now the problem is that I have to find the right part of the ceiling to hang them. I’ll let you in on the big reveal next week! I can’t wait to see what you are all doing with your creative spaces! 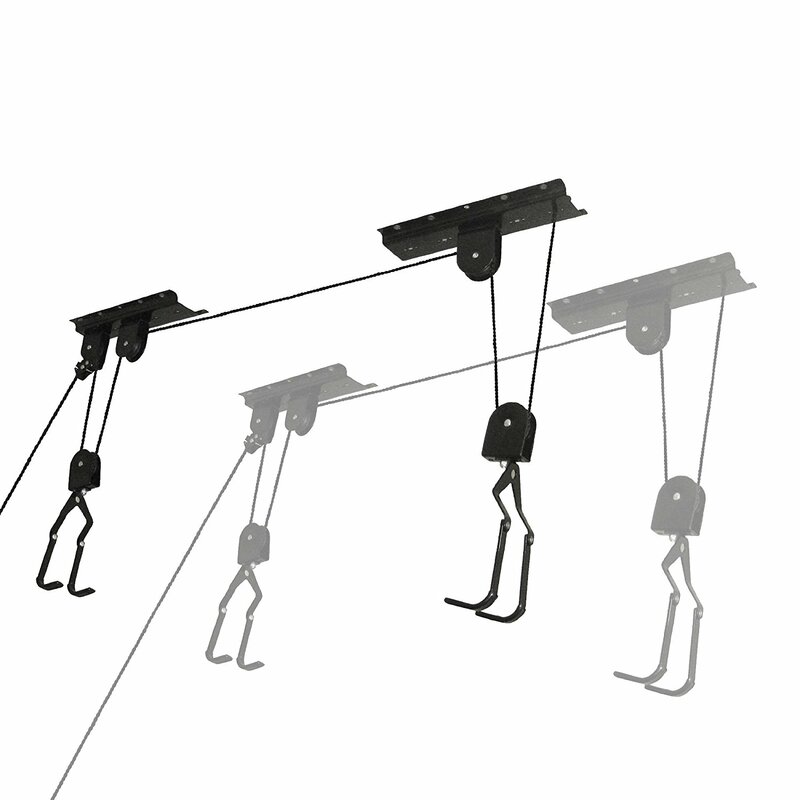 **WINNERS MUST BE 18 YEARS OF AGE AND OLDER AND RESIDE IN THE CONTINENTAL U.S. Both a "before" and "after" photo must be submitted to be entered. Decisions of the judges are final. We reserve the right to disqualify entries that do not meet the criteria. 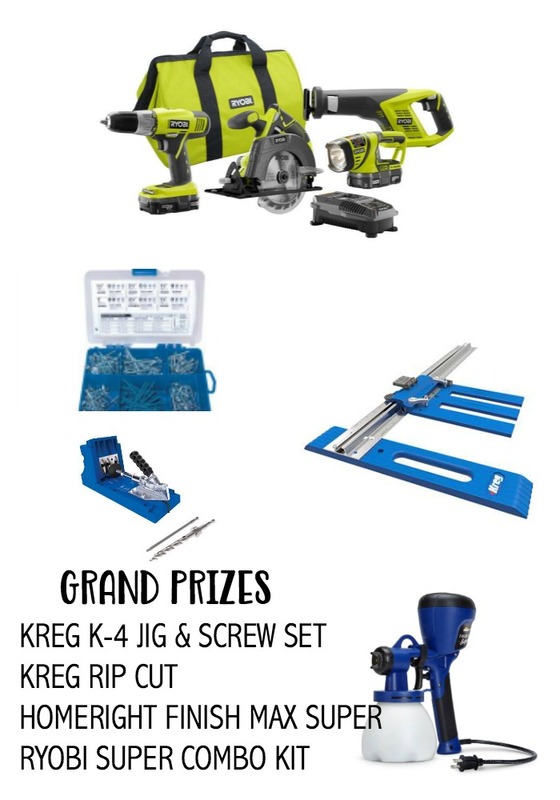 Winners must provide shipping address within 24 hours of being notified or a new winner will be chosen. We are not responsible for lost or mis-delivered prizes.